With so many social media tools available, you have to decide which are worth paying for and which ones you can use minimally, for free. I share some of the lesser-known tools I’ve grown to love for their unique and valuable offerings. Some have a free plan, while others will set you back a dime or two. But all of them will enhance your day-to-day social media strategy implementation, while simplifying the process. Social media has forced managers to become experts in creating and resizing images for different social platforms. With each platform demanding its own size, you need an on-hand designer or you have to devote your own time to creating imagery. 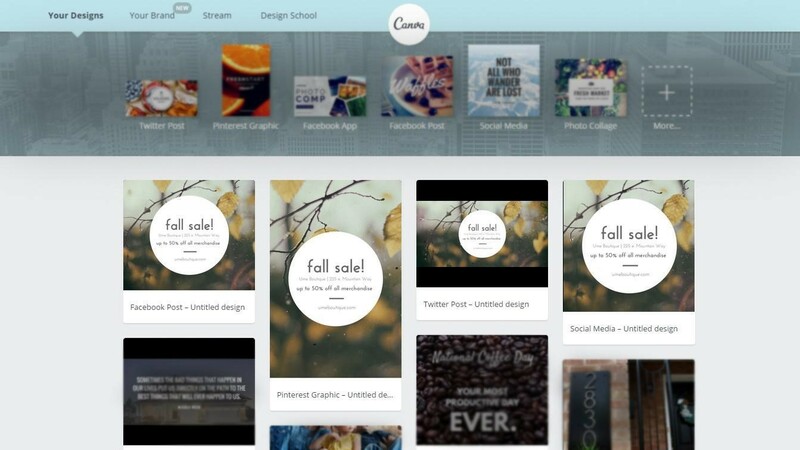 That’s where Canva can help you create beautiful images with templates, photos, fonts, text, and more. I use Adobe Photoshop less and less the more I discover about the capabilities of Canva. Once you duplicate the image for different sizes, Canva opens each image in a separate tab so you can make any changes. For example, maybe you want to offer your Pinterest followers a promo deal. Just click and edit the Pinterest image to incorporate the offer and save the file. Once all changes are final, you can download and share the images to each of your social channels. See below each sized image stored in the dashboard. You always can reuse the image or make edits. If you really love the image, save it as a template for future use. As a bonus, you can create your own brand book. 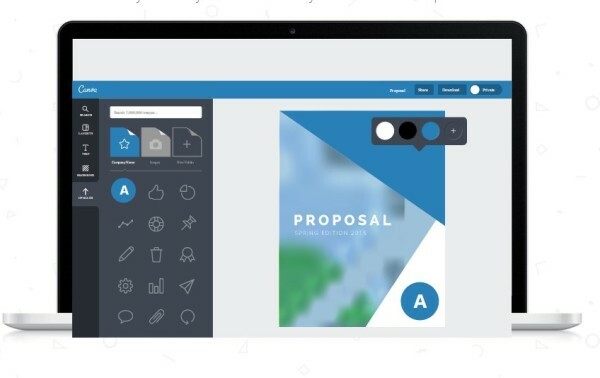 Outline your brand’s color palette, upload your logo, and select fonts for anyone on your team to use. Canva is a perfect alternative for social media managers. Its extensive library has both free and paid images, icons, shapes, and stock photos. Paid options cost only $1 apiece, but I easily manage to stick to the free assets. 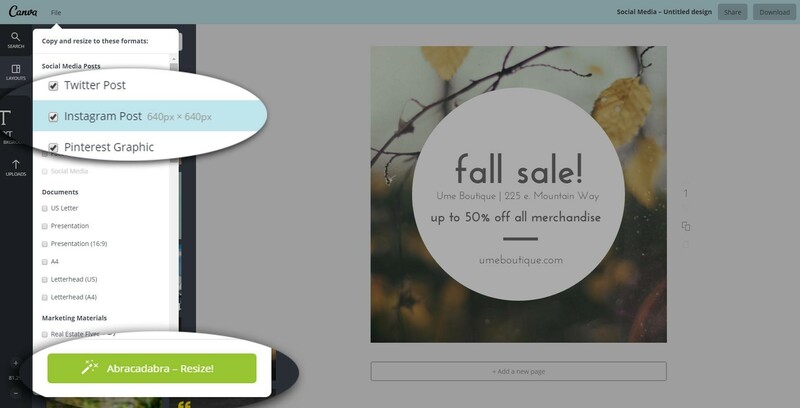 Slide by on the free version or upgrade to Canva for Work to create your brand book and use the magic resizing tool. The annual plan costs $9.95 a month per user. Sniply is Bitly on steroids. We all know the importance of sharing content other than our own to build a community and engage with others. But you can get some added value out of that sharing. 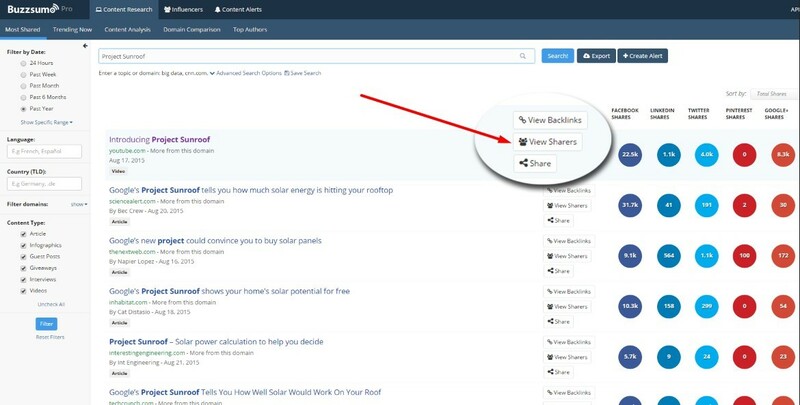 When users click on your shared links, you can direct them back to your own content AND track it. The pop-up suggestion is relevant but not too invasive. 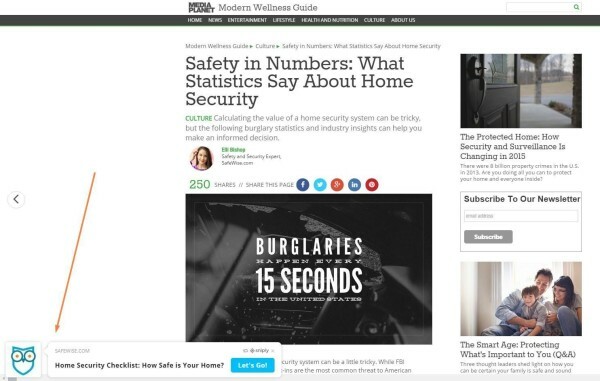 This helps capture a targeted audience through content on other sites that you share. Sniply’s reporting platform continues to get better, making it easier to track your results. 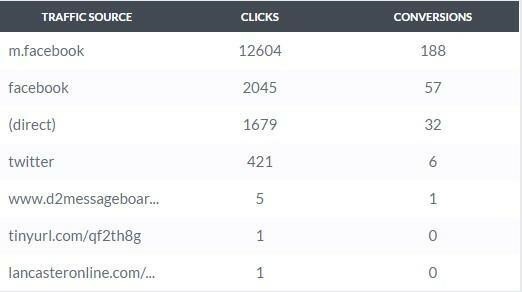 Not only will it tell you how many people clicked your Sniply link, it will tell you how many people clicked through to your site, conversion rate, originating platform, and more. Cool, right? Sniply’s free plan includes 1,000 clicks per month. 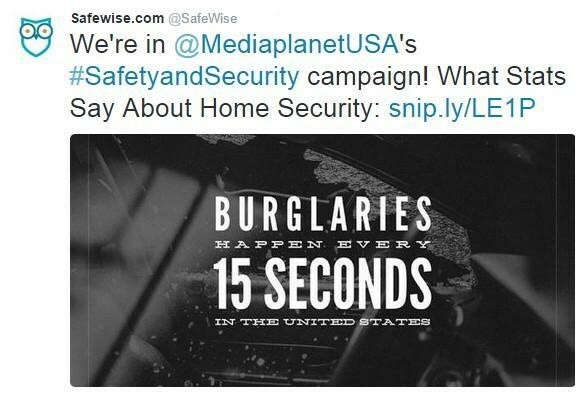 If you’re like SafeWise, you’ll burn through those pretty quickly. For higher click limits, more control over the appearance of your snips, and to use your own domain, paid plans start at $29 a month. If traffic is one of your main objectives, this price is worth it. You can see the most-shared piece of content has over 4,000 Twitter shares. If you click “View Shares,” BuzzSumo lists exactly who tweeted the piece, floating the influencers to the top. The magic happens when you export the list into Excel and create a tailored audience from the usernames to target for Twitter ads. It’s a defined audience of active users who already expressed an interest in the topic. Note that a Twitter promotion to tailored audiences requires a minimum of 500 usernames. To keep your costs low, I recommend layering multiple searches and exports to create a list of 1,000 or more. 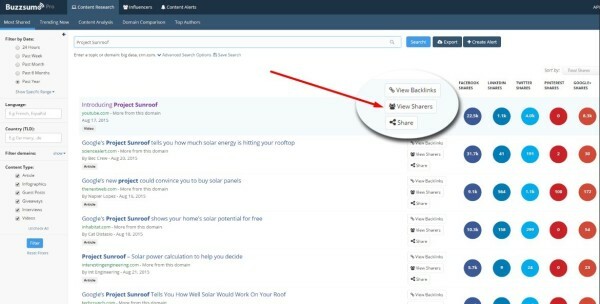 BuzzSumo’s free version will allow four searches a day, so make ‘em count or upgrade to one of the paid plans. 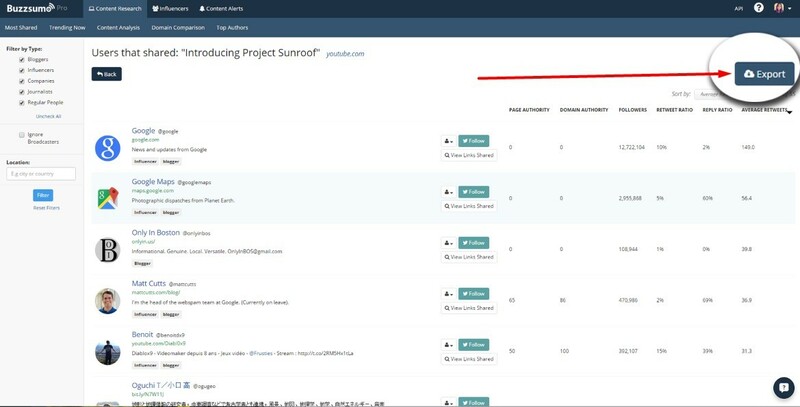 SumoRank is another tool from the makers of BuzzSumo that’s too great not to share. SumoRank allows you a behind-the-scenes peek at any Facebook page. You can see the previous month’s interactions, what day of the week posts received the most engagement, and even top-engaged posts. 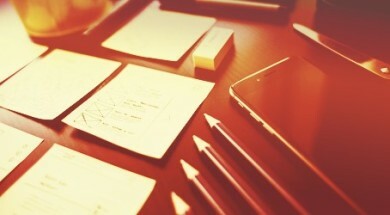 Start by analyzing your own Facebook page, then search for a few competitors. Identify what’s working for them, areas for improvement, and opportunities for your page. For example, maybe all your competitors post between the hours of 9 a.m. and 5 p.m. You could test posts between the hours of 6 p.m. and 9 a.m. to see if your audience engagement increases. Like BuzzSumo, SumoRank allows four free searches per day. You should get unlimited searches with a BuzzSumo Pro account, but I admit I’ve had problems with SumoRank recognizing my BuzzSumo Pro account. Notice some people list their email address in their bio. That’s an even better way to get in contact with them. Export the list, filter by any of the many metrics (social authority is my personal favorite), and use the list for social outreach or for a Twitter tailored audience. 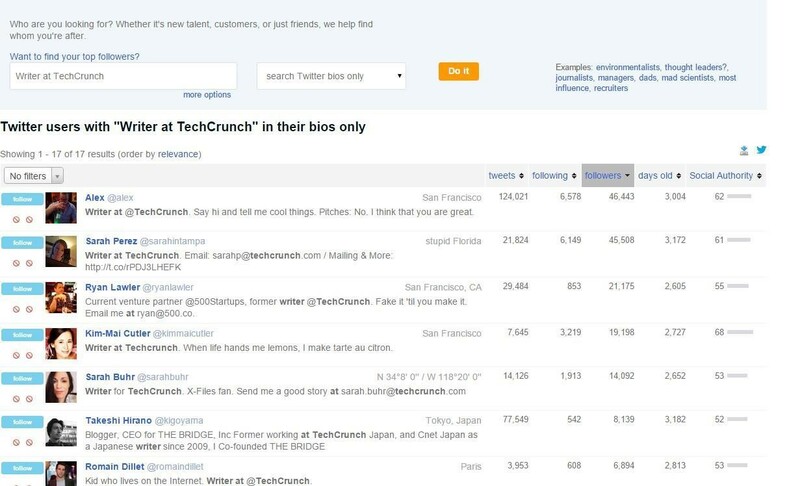 You could even layer it with the audience you find from BuzzSumo. 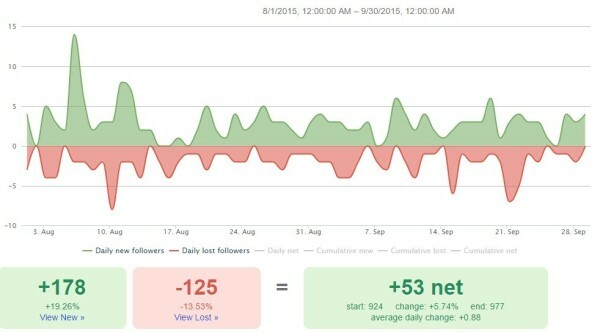 Additionally, Followerwonk allows you to view and compare your competitors’ followers, track every change to your Twitter following (daily follows + unfollows), and analyze any Twitter account (take a peek at your competitors) if you use its PRO version. It’s a little pricey at $99 a month, but you can start with a 30-day free trial to make sure you’ll use it. Or the basic free version may give you enough of what you need. Even if you don’t end up adopting any or all of these five tools, I recommend checking out each one and poking around to see what it offers, as I’ve only scratched the surface. You may just find your next secret weapon that will free up some time or allow you to reach the audience you’ve been chasing. Have you found any other cool ways to use these tools? Do you have a secret weapon? Paige Sjoblom is a social media strategist at CLEARLINK, where she continues to explore and grow their social media channel. When she's not geeking out on SMM, you’ll find her relaxing with hot yoga, trying a new recipe, or hiking in the great outdoors. You can follow Paige on Twitter @paigesjoblom.